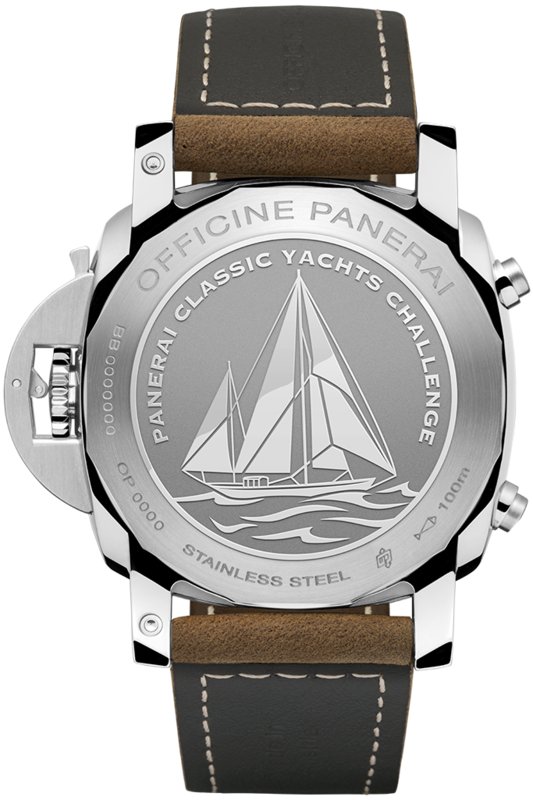 Building upon the latest release of the Panerai PAM652 for the PCYC (Panerai Classic Yacht Challenge) celebrating their 13th year, the second piece of the collection was released. 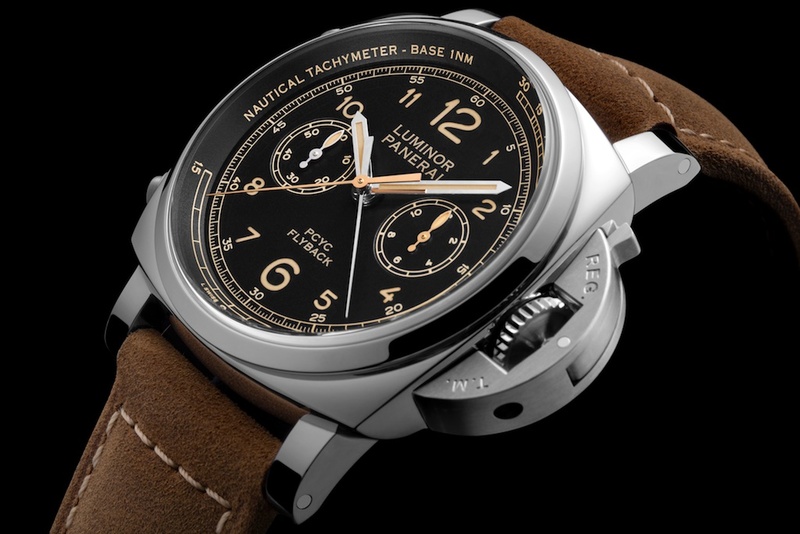 The Panerai PAM653 shares a lot of similarities with the PAM652 but with a few aesthetic changes. The Panerai PAM653 Luminor 1950 Chrono features the same iconic case but comes in a 44mm size as opposed to the 47mm we saw the earlier one. 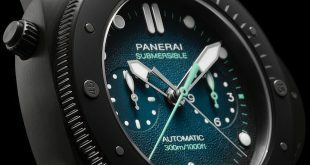 This model also uses steel for the case material as opposed to titanium. 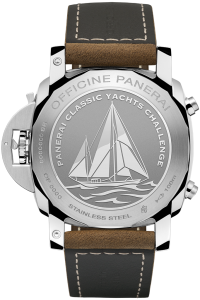 The heart of the Panerai PAM653 uses the same P.9100 core as the PAM652 with the exception that the latter version features the Regatta countdown complication while this version just features a simple flyback function. Becuase of this basic flyback function it only has 2 buttons on the left side of the case to control the chronograph functionality. 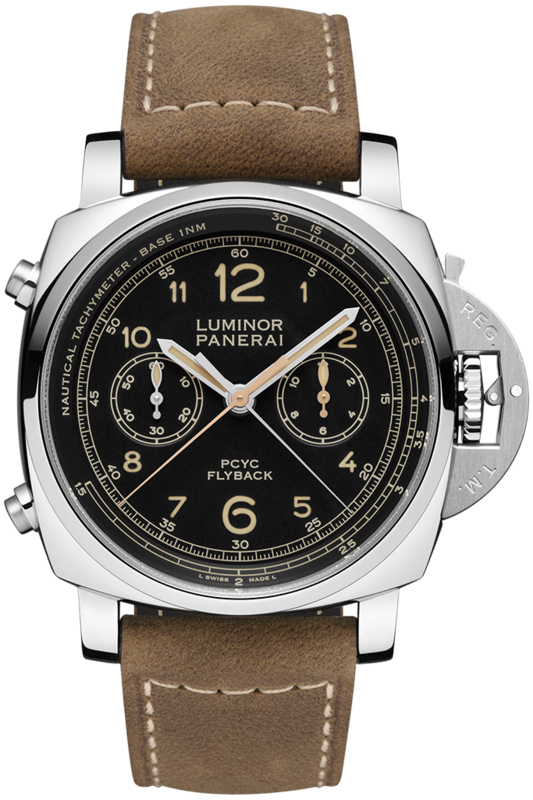 They both feature a black dial with contrasting gold and silver colored hands for the chronograph and sub dial. 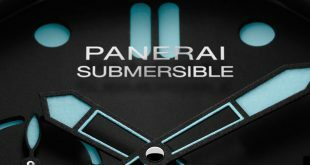 A slight change is also noticeable around the outer edge of the dial, where you don’t have the markings that are used for the countdown function previously mentioned. 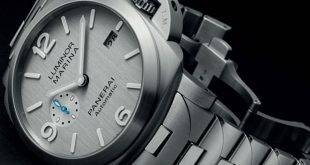 MOVEMENT Automatic mechanical, P.9100 calibre, executed entirely by Panerai. 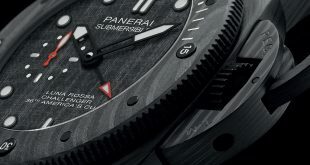 FUNCTIONS Hours, minutes, small seconds, seconds reset, flyback chronograph, knots scale for calculation of average boat speed. CASE 44 mm, AISI 316L polished steel. 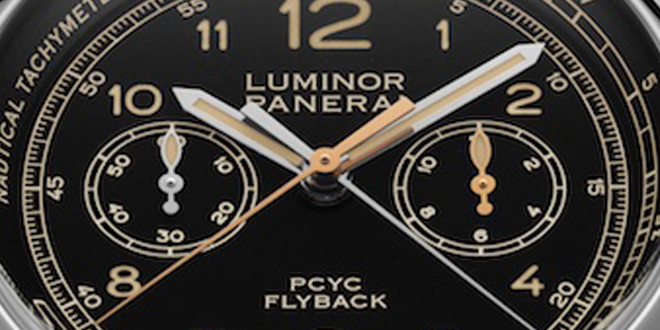 DIAL Black with luminous Arabic numerals. Chronograph hour counter at 3 o’clock, small seconds at 9 o’clock, central chronograph seconds and minute hands, knot scale on the rehaut. POWER RESERVE 72H. WATER-RESISTANCE 10 bar (~100 metres).